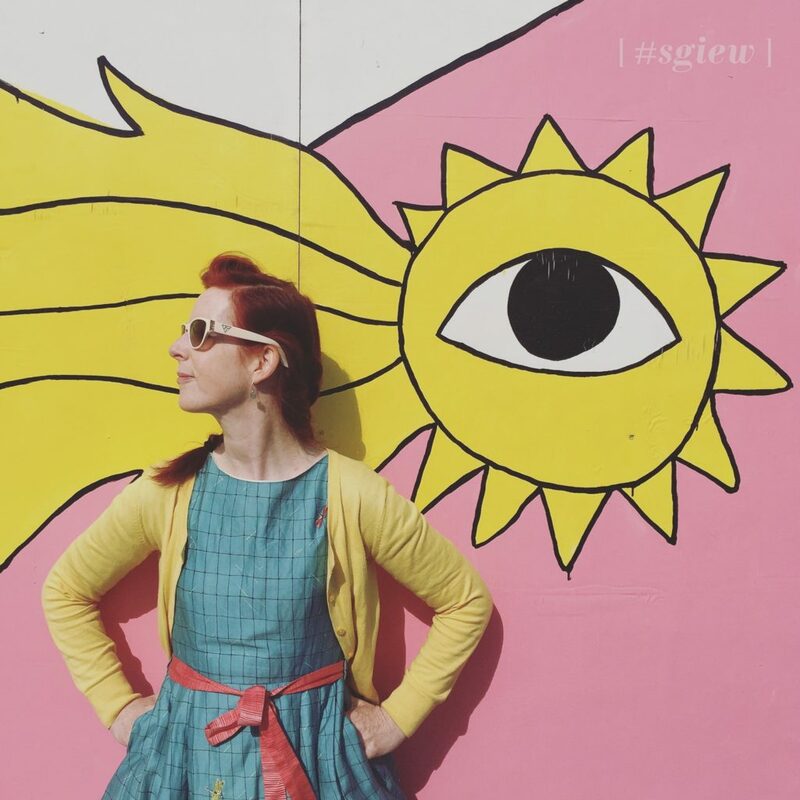 Oh we are LOVING the #sunshine today, French windows open, ploughing through work, feeling invigorated by my weekend at @sisterhood_camp – so this week’s #sgiew theme to join in with is “YELLOW” – uplifting and illuminating, offering hope, happiness, and fun. To join in this week, tag your ‘Y E L L O W’ photos with #sgiew #sgiew_yellow and make sure to check out your hosts @incredibusy @sogoodineveryway, @redtedart and guest judge, and massive yellow fan, Kate Marsden @madebymrsm – Kate is well known for her unique Mid-Century inspired fabrics, stationery & accessories. As a textile designer & blogger, she has a shop at madebymrsm.co.uk, can also be found on Not on the High Street or on etsy. Kate has been a frequent participant (and indeed winner) on #sgiew so we are delighted to welcome her as this week’s guest judge. Looking forward to seeing all of your cheery posts!